LG will reportedly use CES 2011 to launch its latest LG B handset – an Android phone. A leak from the company has suggested that the new handset will be launched in Las Vegas at the biggest consumer tech show of the year - although the specs are currently unknown, its 4-inch screen size hints at a more high-end handset. The leak emerged from a tweet that was later deleted that talked about the LG B and CES 2011. 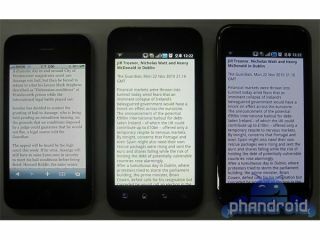 The tweet mentioned that the handset would be super-slim and feature an ultra-bright screen. The super-slim bit certainly tallies with reports that the LG B is thinner than an iPhone, as does the suggestion that the screen brightness will be a key selling point. LG will not be short of high-end handsets in 2011, with the Windows Phone 7 toting LG Optimus 7, and the forthcoming LG Optimus 2X boosting the company's smartphone ranks.